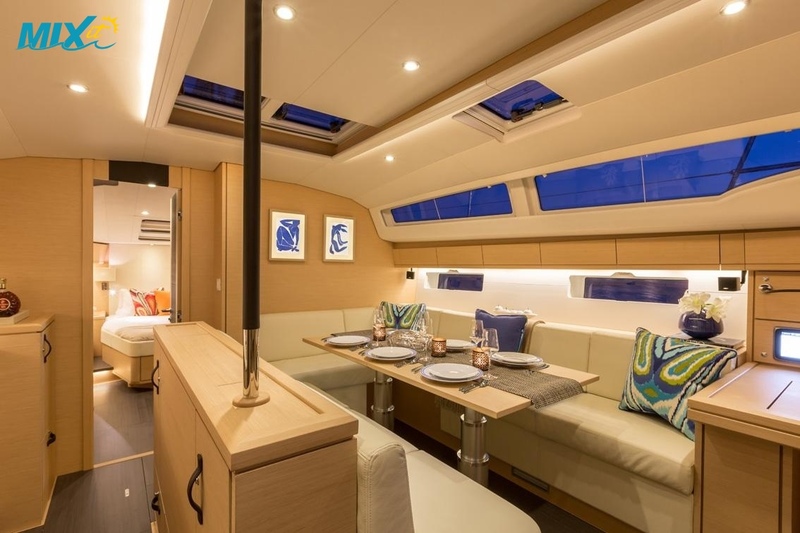 Designed in collaboration with Philippe Briand, the Sun Odyssey 54 is all-new and designed to fit the way you live like no other yacht in her class. 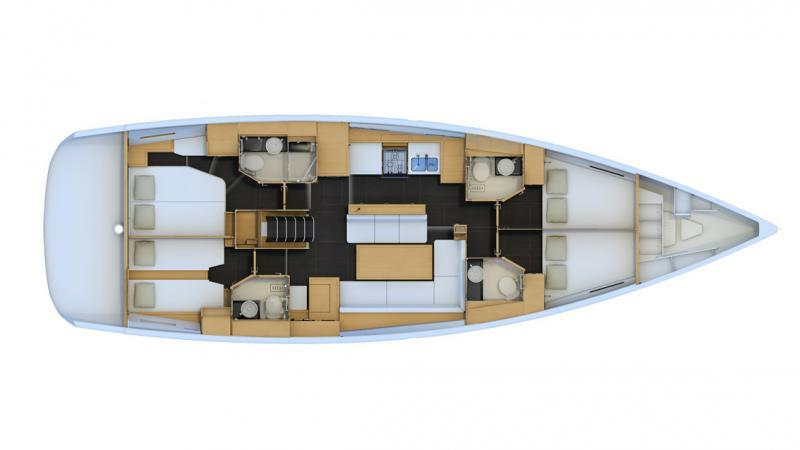 Never before seen solutions are found throughout, from the clever VIP interior layout to the spacious living cockpit and the easy and discreet management of the tender and the innovative aft terrace. Every detail and function has been considered to enhance life aboard and the cruising experience. 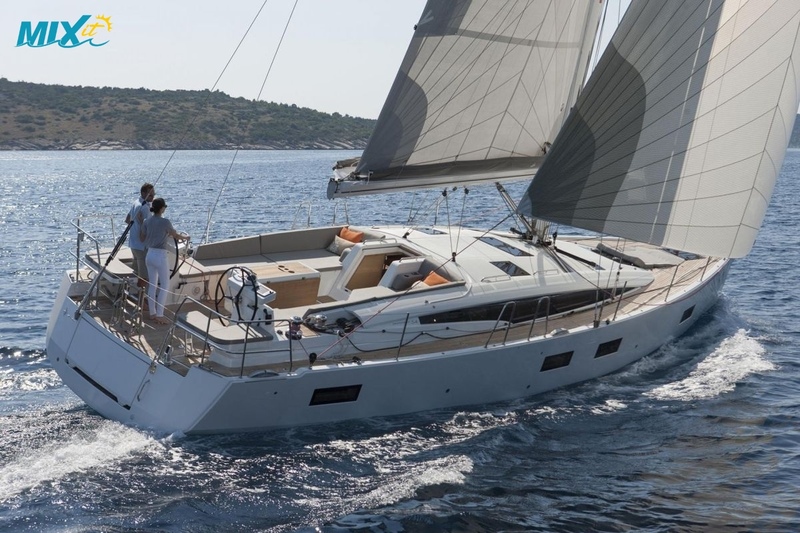 The 54 is the perfect combination of performance, comfort and safety at sea. 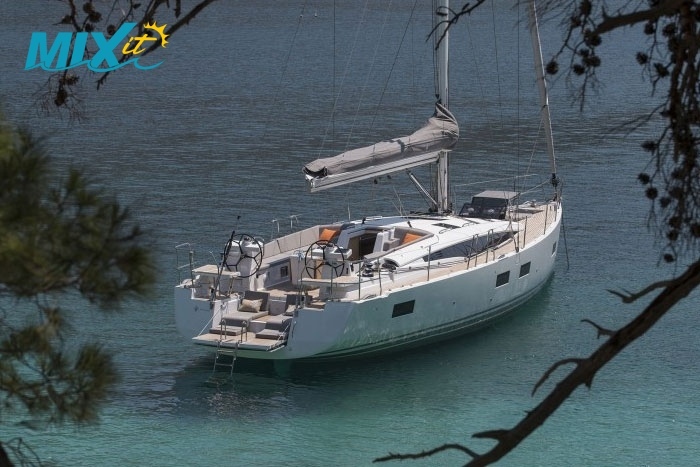 Whether in the cockpit or at the helm, at anchorage or at sea, you will enjoy taking full advantage of this seaworthy, stable and easy-to-handle sailboat. 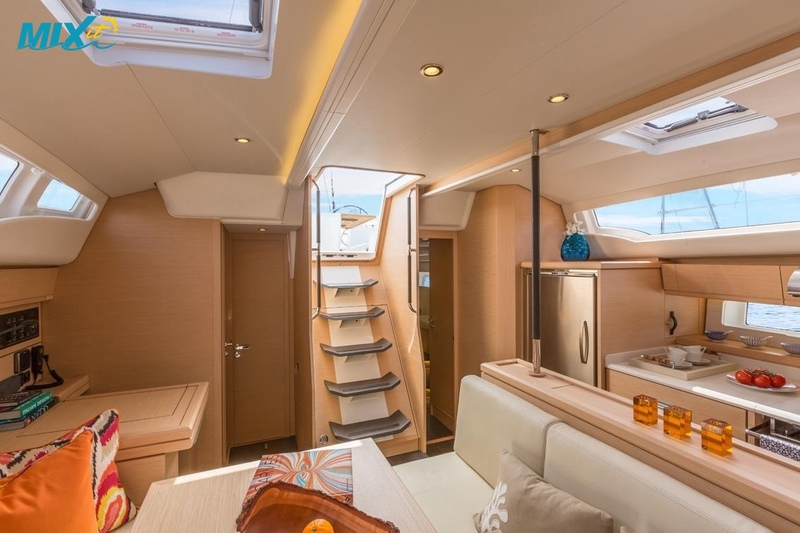 This 4+1 cabin version has a spacious saloon and a very functional galley with high quality woodwork an incredibly bright, well-lit interior. Max persons on-board is 11 with 4 guest cabins and 1 skipper cabin.